For a long time now, readers have shown more interest in one post at The Jeffersonian than they have in others: Why World Trade Center 7 is significant. I thought I might refresh the article with a current date, and perhaps some new information. When other articles have undergone that process, I have usually given them a pretty thorough rewrite. 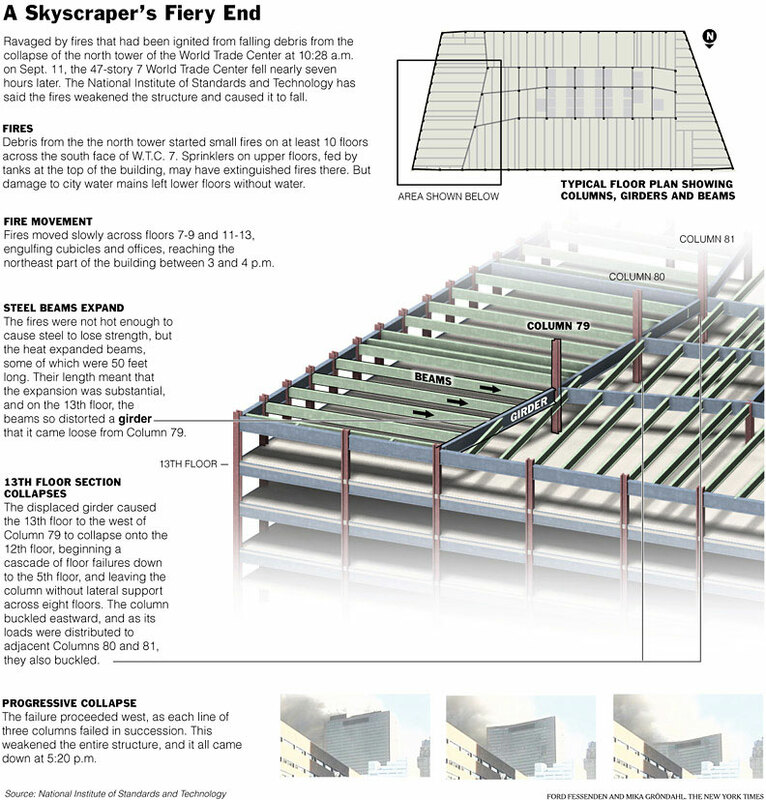 For now, I like the article about World Trade Center 7 the way it is. It compares the controlled demolition of that building with Jack Ruby’s murder of Lee Oswald. Both the demolition and the murder suggest that something is not right. That communicates well enough the effect a lie has between individuals. A lie destroys basic trust, but it also makes a statement about how the liar feels or thinks about the relationship, and about you. You feel betrayed, personally. Does the same effect occur if public officials lie to citizens? I don’t mean everyday prevarication we expect from politicians, but lies about important matters. What if a person you want to trust, such as your president, lies to you about why his predecessor was murdered? What if a president lies about the reasons for going to war? What if a senior public official claims in a formal hearing that the government does not spy on you, when everyone knows that it does? These questions raise a more general issue behind public lies: do we expect public officials not to betray us? The disconcerting thing about World Trade Center 7 is that public officials talk about the destruction of this building as if we do not exist. Our desire to know the truth about what happened to this building is entirely inconsequential. As with government spying, the controlled demolition of World Trade Center 7 is obvious to everyone. Yet no one who knows the truth about who brought this building down cares to say anything about the matter. No one who says anything about the matter cares to reveal what actually happened. The result is utter betrayal. We have to remind pubic officials – and ourselves – that when officials betray the people who employ them, they lose their authority. No one listens – or ought to listen – to officials who lie about matters so consequential. Yet officials don’t actually care about whether or not people believe them. Therefore they don’t actually care about whether or not people listen to them. Here’s why. When you operate inside the bubble, the national security bubble in particular, officials routinely make decisions about information sharing based on need-to-know rules. The whole system of security classifications rests on these rules. The idea is to place information in properly defined compartments, and restrict its distribution as much as possible. These rules protect the state’s security. These rules supersede the desire most people have, in other situations, that others take seriously what they say. In the case of World Trade Center 7, we see officials applying these rules to the public destruction of a skyscraper, on a day when two other, much taller skyscrapers came down under suspicious circumstances. The other two buildings had a lot of people in them. When a third building comes down hours later, and the destruction appears even more suspicious, you want to figure out what is going on. How can two 110-story, steel-framed towers explode like that, and a 47-story, steel-framed skyscraper implode into its own foundation? You could interpret this account as officials verbally flipping off their audience, but in fact the phrase – “that’s all you need to know” – aligns with official rules for handling information in large organizations. We may feel betrayed, hurt, ignored, or appalled that officials would treat us that way. From inside the bubble, officials forced to respond to queries about building seven’s destruction just proceed according to the rules. Reveal information only to people who need to know it. Your everyday New Yorker certainly does not need to know why the Salomon Brothers building imploded. Even the Salomon Brothers, who occupied several floors of building seven, don’t need to know. So don’t answer the questions. Now you can see one reason I am so doubtful about calls for a new, official investigation of World Trade Center 7, and of 9/11 more generally. An official investigation would proceed under the same rules about how to handle information. People who conduct official investigations do not know how to operate any other way. They do not reveal material facts, let alone classified information, unless you are cleared to know it, and you need to know it. Those who call for a new investigation say that this time, investigators would be independent. They would not have to operate according to the official rules. Do not count on it. An independent commission for 9/11 would be no more independent than the Warren Commission. Lyndon Johnson persuaded Earl Warren, chief justice of the Supreme Court, to lead that commission. That way it would appear independent. The commission was no more independent than if Johnson himself had chaired it, and everyone perceived that. Or at least, they know it now. You have to draw your own conclusions about World Trade Center 7. Start with the video evidence. Read David Ray Griffin’s book on the subject, The Mysterious Collapse of World Trade Center 7. Read other accounts of what happened with that building during the entire day the 9/11 operation unfolded. You will conclude – from your own investigation – that officials who pretended to explain the destruction of building seven flipped you off. They actually do not care whether you believe them or not. They merely want you to go away. Building 7: Why 5:20 pm? Please confirm receipt of this note, as I am have persistent email delivery problems. Also per your last note to me, yes I would love to get together for another lunch. I just need at least one week’s lead time to adjust my schedule. Re your excellent article below you might also want to direct your readers to these threse excellent resources: 1) http://www.youtube.com/watch?v=Zv7BImVvEyk – a two minute video demolishes the formal explanation for the collapse of WTC #7; 2) Solving the Mystery of Building 7 – an excellent 15 minute documentary narrated by Ed Asner; 3) http://911research.wtc7.net/wtc/attack/wtc7.html This site zeros in on questions relevant to the mysterious collapse of World Trade Center Building # 7 and is the best material on the internet on this subject in my opinion. Thanks again for your excellent and inspiring article. Amazing material. Just what I was looking for!